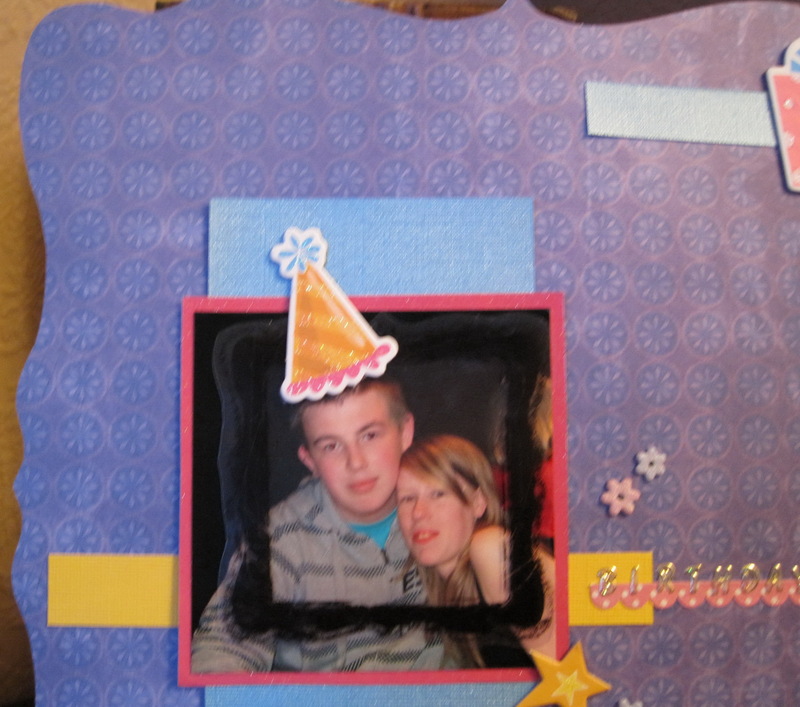 The picture is of my son and his girlfriend (now fiance) on his 21st birthday when we visited our local pizza place. I used sketch #105 to put this layout together from Creative Scrappers. Here are some close ups on the details. 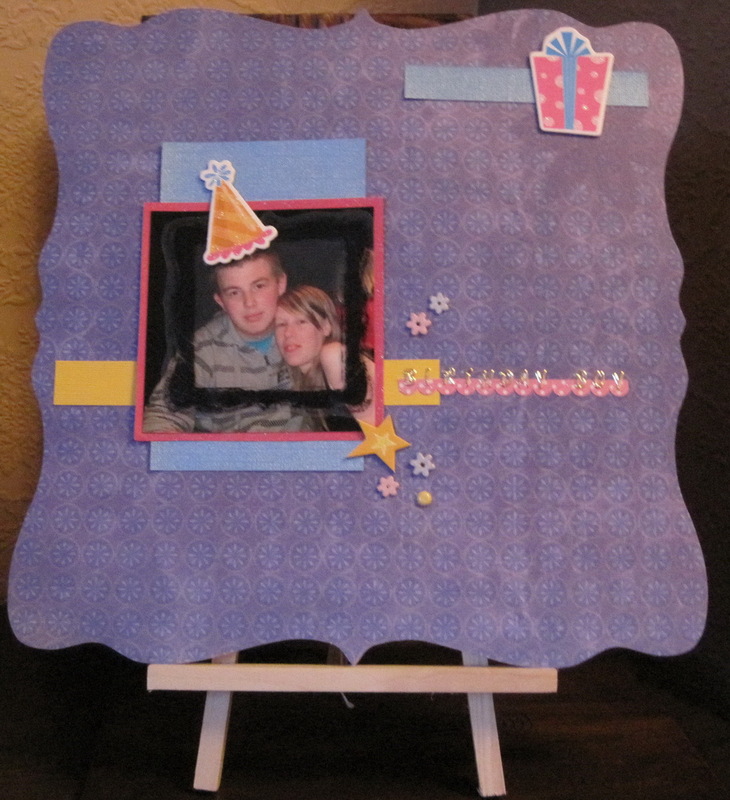 A day with scrapbook is like a day without sunshine!